TVASurg is always looking for new ways to help surgeons teach. As we engage with new opportunities in the VR space, we've gained an interest in the potential of using photogrammetry to create assets for our VR modules. Photogrammetry is the science and technology of creating a 3D model based on a series of photographs of a subject. Using photographs from a wide range of angles, software such as Agisoft Photoscan or 3D Flow Zephyr can process the digital images to create a highly accurate 3D model that can then be imported into a VR environment. Here are a few examples of our early experiments. 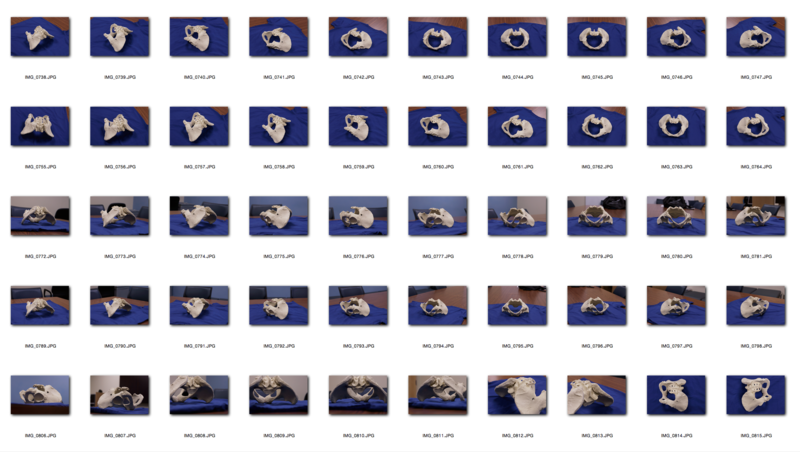 Some of the challenges to using photogrammetry can be seen in these examples: Good lighting is critical for capturing photos that will yield the best results; good lighting is always a challenge in the OR! Reflected light (and colour) is also quite apparent. While extraneous details of an object can be removed from the model, doing so creates holes in the 3D mesh, leaving an incomplete model. To create models such as these, a series of photos are imported into software. The photos need to capture as much of the object's surface area as possible. The software then analyzes the photos, and creates a "point cloud" of coordinates that are determined to be shared in multiple photos, and their depth relationships to one another are calibrated. Photogrammetric technology is currently used in a variety of medical settings. A major advantage of photogrammetric techniques is their use in data and image archiving and inter-clinical communications. Examples of clinical use include those in orthopaedics to acquire precise measurements of body parts, in ophthalmology to diagnose eye pathologies and in dermatology for examination and assessment. Notably, there is also a precedent for the use of photogrammetry in volume measurements for grafts used in plastic surgery. Photogrammetry has strong archival attributes, as the date and time the photos were taken can be saved as metadata in the image files. 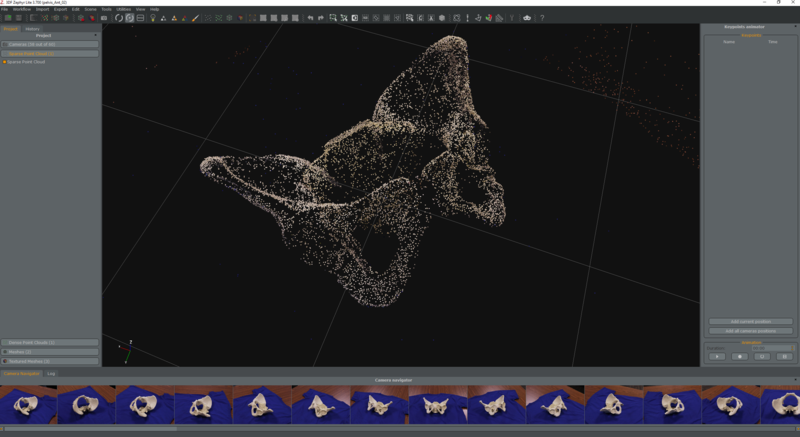 Using photogrammetry techniques to capture surgical specimens and eventually the surgical field itself holds tremendous promise for surgical education, and we are excited to explore these possibilities. 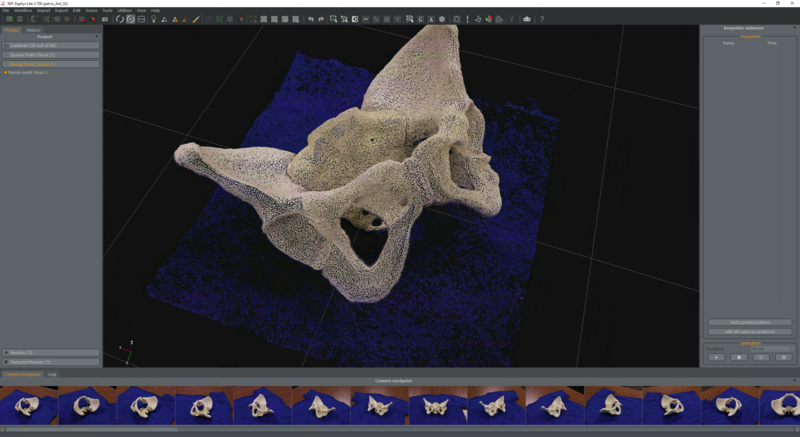 What potential can you think of for using photogrammetry in surgery? Let us know in the comments! Receive an email update when we upload a new video! Copyright © 2019 The Toronto Video Atlas of Surgery. All Rights Reserved.